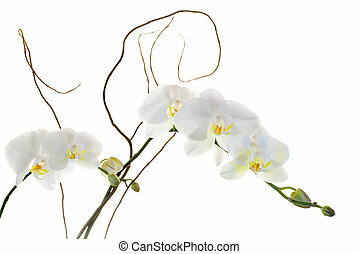 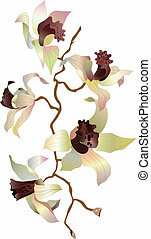 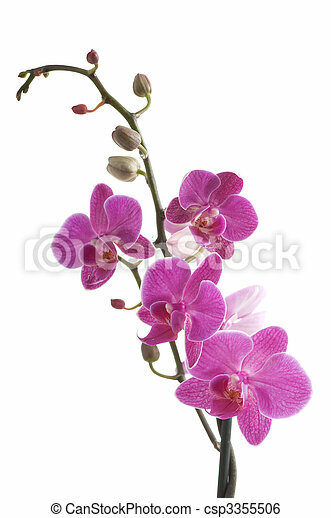 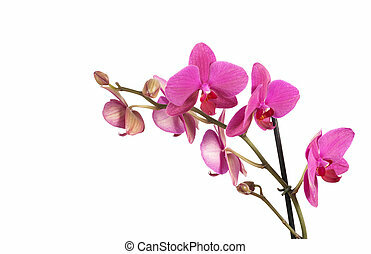 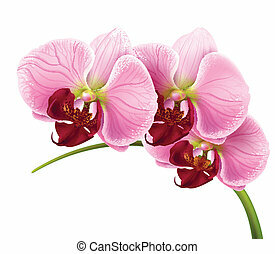 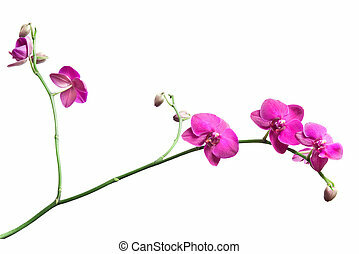 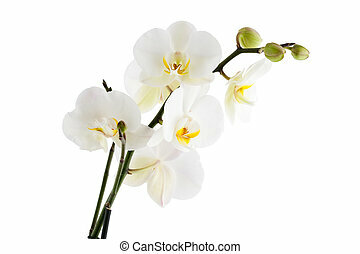 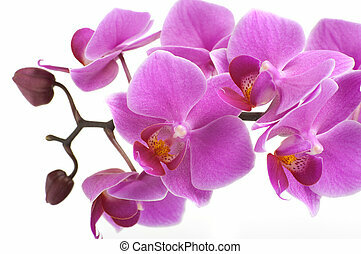 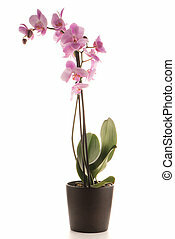 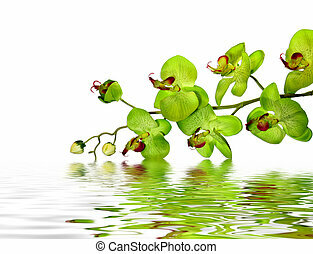 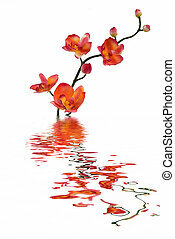 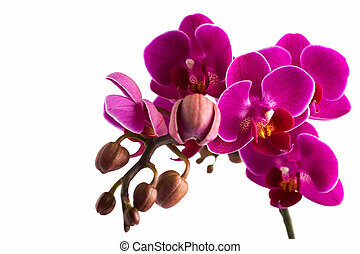 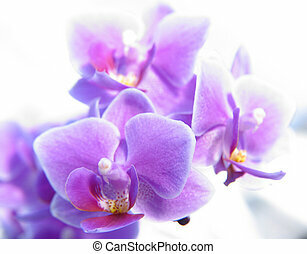 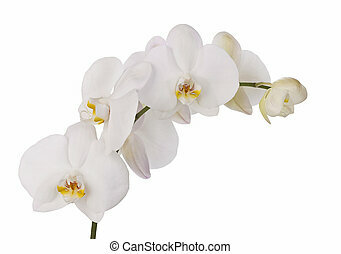 Branch of orchid flower (phalaenopsis) on white background. 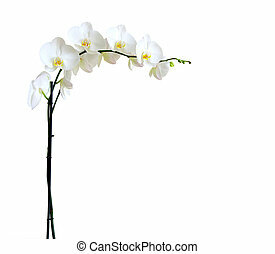 Orchid isolated on the white background. 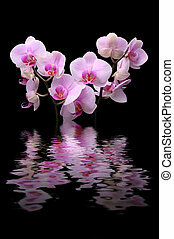 Pink orchid in a white flowerpot on dark background.